Yesterday we kicked off the Start Conference 2015, the first ever conference dedicated to our passions. Over 350 inspired individuals, from 12 cities, 5 countries, showed up to ignite their passions. The conference’s clear messages were the importance of community, asking for what you need and ACTION. At the center of it all was Jessica Semaan, kicking off the event with a dance party. 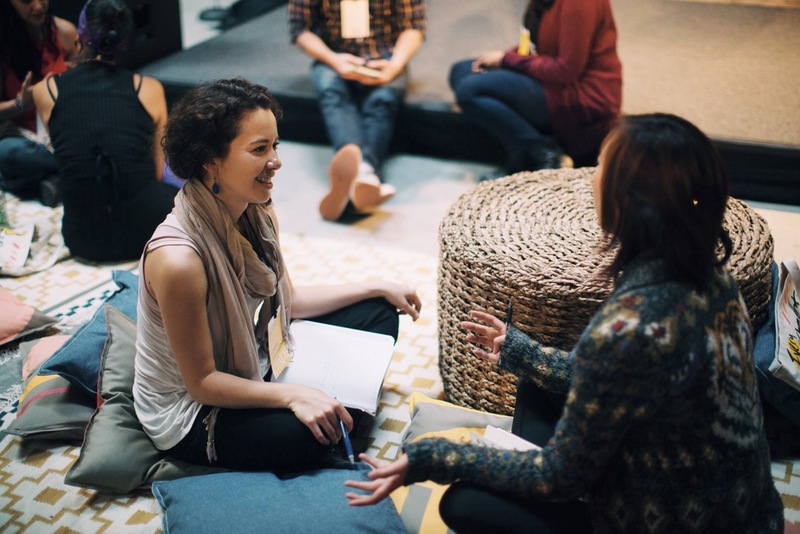 With her contagious energy and electric passion, she lead the participants through The Passion Co. method to connect with their passions, and design a passion project. Additionally, participants were grouped in tribes, that provide support, and foster connections. Throughout the day, speakers from different industries dove into the struggle of beginning and the importance of community in the process of creating. Omid Scheybani, a photographer and storyteller shared how he went from a first Instagram picture with only one like to his now 26.5k followers, in less than a year. Adam Smiley Poswolsky, author at Penguin Random House, recalled the rejection after rejection he got with his first book. Kara Goldin gave credit to the executive at Coke who told her that Hint, a locally founded water company she started, wasn’t what Americans wanted. Ankit Shah, founder & CEO of Tea with Strangers, spoke about the transformation bringing strangers together has made on him and his community. His company now is in cities all around the world. Alyssa Ravasio described borrowing confidence from Steve Huffman, founder and CEO of Reddit, who asked her if what she wants to build is a problem she wants to solve for herself. When she said yes, he said do it. during her journey in creating Hipcamp, the first platform to find campsites. Another story that stood out was when Dijon Bowden shared how his mother flew out to San Francisco to pull him out of depression and reignite his passion project, Souls of Society – a project lifting the souls of others one picture at a time. In between speakers were more dance parties, delicious snack breaks from local food companies: Thistle, Poco Dolce, Chump Chai, Philz Coffee and many more. Crew members were going around taking polaroid photos of participants. The day the day with a pop up gallery cocktail party, in partnership with Vango, the app to find art featuring San Francisco based artist, Dyanna Dimick. “Action over perfection” - Jessica Semaan, The Passion Co.
“It only takes one.” On how ONE artist introduced Vango, founded by Ethan Appleby, to their next hundred artists. Join us for our closing brunch party Sunday by getting your ticket here.